Many Westerners are just now finding out about this form of Traditional Chinese Medicine. Gua Sha is part of Traditional Chinese Medicine (TCM). Although it began in China, it spread throughout Asia and eventually to the West. 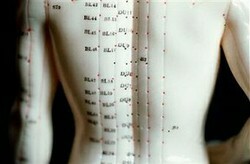 Sometimes it is referred to as Chinese ‘folk’ medicine because people practice it on themselves as a sort of first aid. It is so commonly used that it is not taught in medical school. 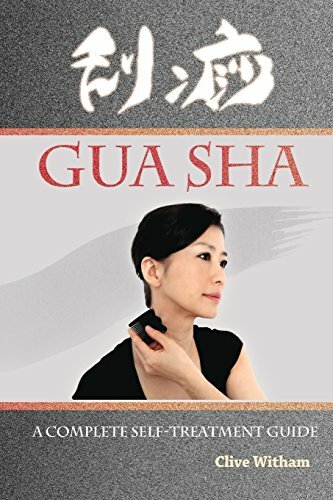 Gua Sha is the Chinese equivalent of chicken soup. Gua means ‘to rub’ and sha refers to the red marks on the skin that appear after a treatment. To be specific, lotion may be applied to the area to be treated and a smooth tool is repeatedly scraped against the skin. Traditionally the tool is made of a natural material like Water Buffalo Horn, ceramic spoons, or jade. Nowadays some tools are plastic or metal, but the main requirement is for it to be thin and have a rounded edge so it does not break the skin. In Vietnam, the practice is called ‘Cao Gia’. It is performed by rubbing a coin against the back, chest, head, neck, or shoulders. It’s interesting to note that during the 1970s the telltale red marks on Vietnamese-American children were thought to be the result of child abuse, and some parents were mistakenly arrested. To the untrained eye, ‘sha’ may look like road rash or a bicycle scrape, but the skin has not been bruised. No veins, capillaries, or arteries have been broken. During the treatment, the body's meridians begin clearing and trapped pockets of fluid (lymph, lactic acid, blood) from a previous injury raise to the surface. Westerners are always surprised when the patient feels better but looks worse. 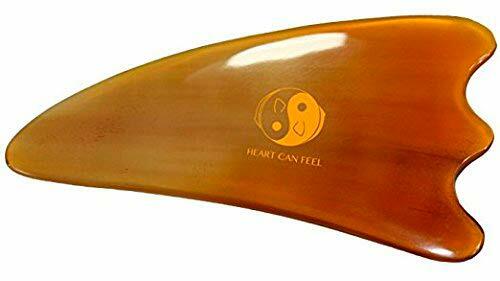 Gua Sha may be used in conjunction with other forms of TCM like acupuncture or cupping. It’s reported to be helpful for hypertension, chronic pain, arthritis, and many types of joint or back pain. 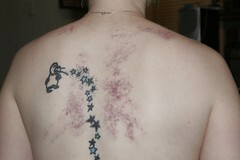 If you’re seeing a chiropractor you may find that your adjustments last longer when you combine them with Gua Sha. This treatment is not painful at all. It is also recommended for people who store stress in their neck and shoulders. When the red marks begin to fade, take this as a good sign that your lymphatic system is working and moving fluid through your tissues. Gua Sha is not recommended for anyone with open sores, broken bones, or pregnant women during the first trimester. If you have any health conditions you’re concerned about, make sure to ask your practitioner ahead of time. First time I'm hearing about this treatment type. I know about acupuncture, acupressure and other Eastern alternative treatments, but this one is really new to me. Very unusual...I've never heard of this, thanks for teaching me something new. I tend to massage sore and tender spots and if I can't reach them, like on my back, a tennis ball or two is my favorite thing to use. Always have one nearby where I sit on the couch, but the whole red spots thing is so different. Can bitter melon cure diabetes? Vitamin Supplements - Who Needs 'em? Nutritional supplements are more popular than ever, and most people take at least one. But are they doing any good?